Amen is equivalent to yes, and it is so. 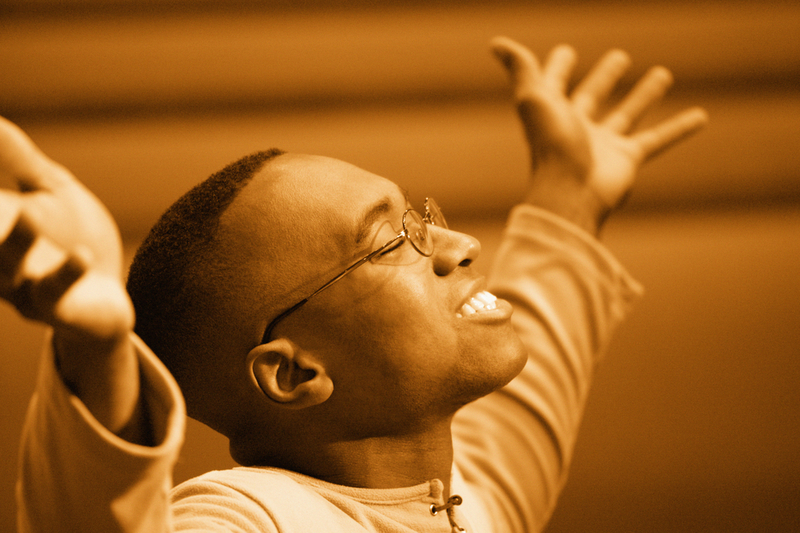 Amen is an exclamation of affirmation or endorsement, frequently used in public worship or prayer. Amen is also an agreement of believing for what you have prayed for will be answered as well as believing God’s Word. No matter how hard life may be for you at this time, believe God is for you and not against you. Satan would have you believe, God has forsaken and forgotten about you, but God’s Word has promised, He would never leave or forsake you. God promises are true, and they may not manifest themselves when we want them to, but the Word of God has declared, whatsoever you desire when you pray to believe you received it and you shall have it. God is not like man He should lie, nor the son of man, He has to repent, what He has promised will come to manifestation when the time God has appointed it to manifest, Amen! Thou wilt keep him in perfect peace whose mind is stayed on thee because he trusteth in thee (Isaiah 26:3) Keeping your mind on the Word of God means when disappointments, hurt, anger, dis-ease come to bombard your mind, to steal your peace, and your faith you begin to think on the Word of God. You begin to speak the Word of God; you begin to confess over your circumstances, God is for you and not against you. When Satan comes, he comes to steal your peace, if you don’t have peace, you can’t hear the voice of God because your mind is concentrating on the other god of disappointment, hurt, anger, money issues, betrayal. Anything you focus on more than God has become your god. Before I formed thee in the belly I knew thee; and before thou camest forth out of the womb I sanctified thee, and I ordained thee a prophet unto the nation (Jeremiah 1:5) This scripture wasn’t just for Jeremiah the prophet, but God also knew you before you were formed in your mother’s womb. There is nothing that has happened, is happening, and will happen that God does not know about. God knows your beginning, middle and ending and what goes in your life from the beginning to the end. God is not surprised about nothing that has been in your life, that is why He has instructed us, to come to Him, all that labor and are heavy laden, and I will give you rest. Jesus will give us rest in our heart, mind, soul and spirit when we place our trust in Him and not ourselves and the circumstances. The peace Jesus gives to His disciples, will surpass all human understanding, Amen! We have to believe the Word of God; not what we see, hear or feel. God spoke over your life before your birth and whatever He spoke will come to pass. God’s Word will not return to Him void. Whatever God speaks will manifest in the time He has appointed it to manifest. Speak what God has spoken to you, believe what God has spoken to you. Sometimes we can be so bogged down in our minds until we forget the Word of God. His Word is to instruct, direct, rebuke, heal, restore, comfort. We have to get God’s Word in us, and the only way we can do that is by taking the time to read His Word and let His Word become a part of us. We are the church, and we must agree with God’s word, Amen! Speak over and in your life what God has spoken, and not what the doctor is saying or the media, family, and friends are saying. Blessed is the man that walketh not in the counsel of the ungodly, nor standeth in the way of sinners, nor sitteth in the seat of the scornful. The Lord is my shepherd; I shall not want. But I know that the Lord hath set me apart him that is godly for himself: the Lord will hear when I call unto him. The Lord will give strength unto his people; the Lord will bless his people with peace. Behold, the eye of the Lord is upon them that fear him, upon them that hope in his mercy. You have to encourage yourself in the Lord; you have to speak what God is saying for His Word to begin to manifest itself. We so often speak the opposite of what God is saying that is why God’s Word is not being manifested. Be still and know that God is God. He changes not, He is for you and not against you. His ears are open to your prayers and cry. Your name is written in the palm of His hands when you are a child of the Most High God. Every born-again Christian have the promise of God’s mercy, provision, protection, peace, joy, and happiness. Don’t allow Satan to steal what has been given you.